Scrum originated from the activity related with the passage of ball among rugby players swiftly. 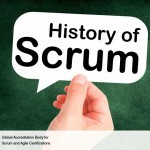 The designing of scrum was such as to deal and manage fast changing necessities of the software industry. 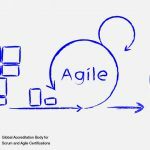 It is one of the various frameworks of Agile Software Development used in the delivery of functional software with visible results towards end users and customers. It is a framework through which multifarious software development was possible as project management is also used along with it. The methodology of Scrum helps in delivering the product quicker, and in a far improved manner. 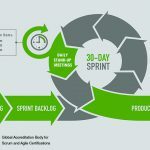 The team which adopts Scrum executes their work through iterations completed in precise time increments which are known as sprints, ranging from 2-4 weeks. Sprint planning happens at the commencement of every iteration stage wherein events get picked out of the product backlog which needs to be worked on in the coming iteration. Define “what, when and why” for each facet of a product. Discuss and work out with the team on these aspects associated with cost and risk estimates. Figuring out the “who and how” for each facet of the product realization. Plays the role of a leader that serves the needs of the team. 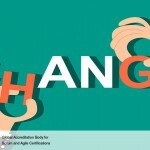 Dons the mantle of a teacher who trains the organization and the team players regarding continual improvement by embracing Agile.